And not just because I am on one of them! There's a whole lot of video game action at PAX Australia, from hands on sessions with the latest titles, big name developers, and of course a truck-load of PCs and consoles. But that's not the only gaming going on - roleplaying, board gaming, and wargames all get their time in the spotlight, and it's usually one of the things I enjoy most about the show. Checking out gorgeously painted armies, sitting down for a session or two with some pals, or enjoying some really in depth and fun panels from how to be a better gamer, to watching some truly exciting live-play. There's a lot to choose from, so here's my guide (only a little self-serving) to the best tabletop action over the weekend. "Join game designers Alex Wynnter (The Brigade), Hayley Gordon (Good Society: Jane Austen RPG) and Shannon Kelly (Lucidity: 6SN), with moderator and designer Steve Dee (Relics), and artist Chloe Walsh as we take your ideas to create a game that you can play over the weekend in the tabletop area, and print at home after PAX is finished." "You don’t have to write a book or make a movie to tell your story. You just need friends and some dice. But how do you begin your journey as a DM? There is no sacred trial or ancient ritual. You just start. Beginners and experienced DMs alike, join a panel of veteran storytellers as we get you behind the DM screen. From writing a story where you can’t control the protagonists, to ensuring everyone at the table feels accepted and included, you’ll have the tools and confidence to begin your game." This is one I'm on, so come along and say hi! "“No swords. No wizards. Just regular humans, in way over their heads as they work to uncover the mind-shattering horrors of the Lovecraftian mythos. That’s the promise of the Call of Cthulhu RPG, and over 30 years later we’re still coming back for more" (Gizmodo). A panel of leading Australian game writers and developers discuss the phenomenon that is Call of Cthulhu and its influence on bringing the Cthulhu Mythos into the mainstream popular imagination." 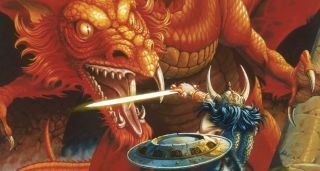 "Licensed tabletop roleplaying games frequently provide a more faithful adaptation of the source material than possible with a licensed video game. Doing so takes craft, care, and plain hard work. Chris Pramas from Green Ronin Publishing has decades of experience designing and publishing RPG books based on Dragon Age, G.R.R. Martin’s Song of Ice and Fire, The Expanse, Warhammer Fantasy, DC Adventures, The Black Company, and more. Join him in conversation with Mark Morrison from Campaign Coins." "Some of the most impressive board games and RPGs today bring us amazing miniatures. If you want to help bring your tabletop adventures to life but don’t know where to begin, start here and step into the world of miniature painting! Join us as we show you how to get started on your miniature painting journey, and take you through the simple steps to go from a bare model to your very first miniature masterpiece."